When you start the game, some of its functions wouldn't be available to you unless you reached and cleared a certain checkpoint level. For the Faction to be unlocked, you'll simply have to clear checkpoint 12. When you join a Faction, you'll instantly be rewarded with 200 ingots. To start learning more about Faction, you must try to at least join one and make sure you are already accepted and have access to do some of the most basic stuff and perks of being a part of it. 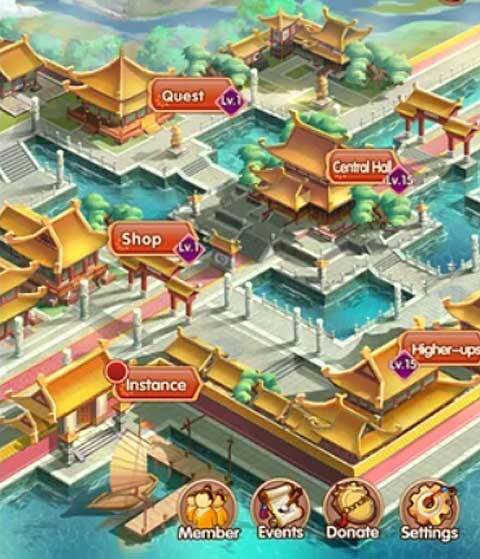 For starters, there is the Central Hall for each faction - what this does is basically increase the population of the pertaining faction (this is done so that more members can join and so will the overall battle rating of the whole faction will increase). This might not be any of your concern when you are starting, but you should always try to consider joining the stronger factions early in the game. 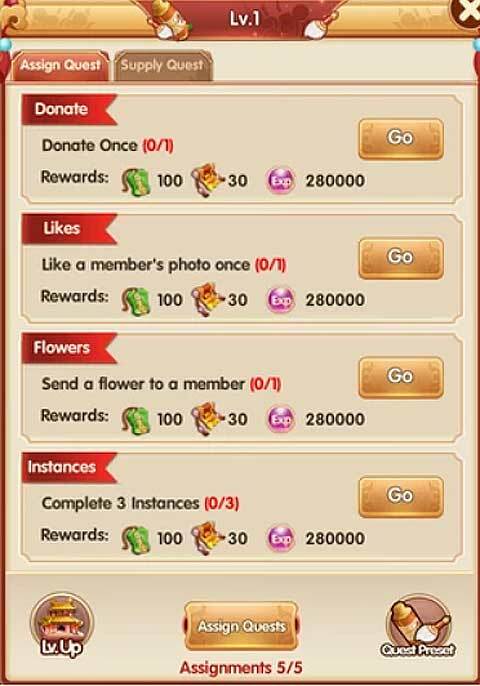 We try to explain this matter so that you'll take the time to scour through the available ones (factions) in the server, and check for the bet option that will accept you as their member for your current level. If you've been able to pick a good faction to your liking, what you'll generally want is to be useful to the whole group, and maintain activity there - meaning you'll basically want to be active with the faction's Tasks. Active members are what a faction needs in order to make sure that faction requests are done everyday -- and so will be rewards be achieved by completing them. If faction requests are accomplished, members will obtain Faction Impacts and Faction Credits. By completing daily faction requests, you'll also be given the chance to earn a Kaifeng Token, an important item that is used for the "Higher-up", and faction battles. Note though that only faction administrators can set the daily requests. Not until you've proven yourself worthy to the faction will you be able to gain position in your faction. Remember that these are real people that you are dealing with, and you'll probably have to prove your worth first before you get any position in the faction. Nonetheless, you can still do the requests every day, and earn some "Faction Tribute" which you can use in return to redeem all kinds of materials for upgrading your Equipment. Aside from this, there are also the Faction Instances - which you have 5 daily chances to battle and try to kill other faction leaders. Similarly, you will get a special currency called "Contribution Points" every time you participate in the Faction Instances. These special currencies in return will fetch you some limited choices of items as rewards. Where Do I Get Advanced Materials? Back to Top How do I unlock Biography and what is it for?